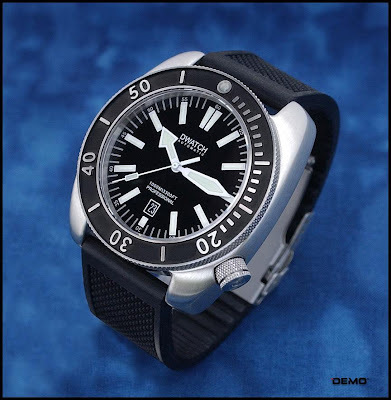 Watchuseek Watch Blog: Which divers watch for your deep sea adventure? 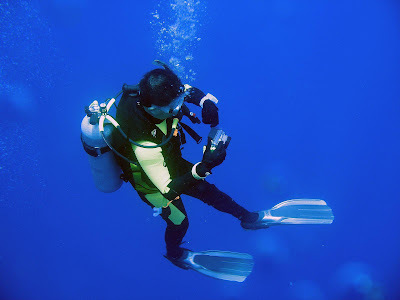 Which divers watch for your deep sea adventure? An off the beaten track diving holiday destination deserves a more off the beaten track divers watch. There’s just an ocean full of divers watches, so how can you know what to pick and why? The first thing to decide is what kind of diving you’re going to be doing. If it’s just skimming through the shallows and dipping your head under to catch the glorious coral, you’re quite ok with any of the diver’s watches with water resistance to 200 or 300m. 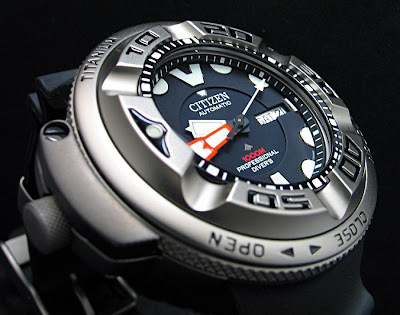 This type of watch can also handle medium level dives. Also, always opt for steel or titanium as these metals are strong enough to handle the ocean’s water pressure, which obviously builds as you dive deeper. If you’re heading to one of the world’s greatest and most off the beaten track dive spots such as Palau, it seems a shame to go all the way there and not dive a little deeper. 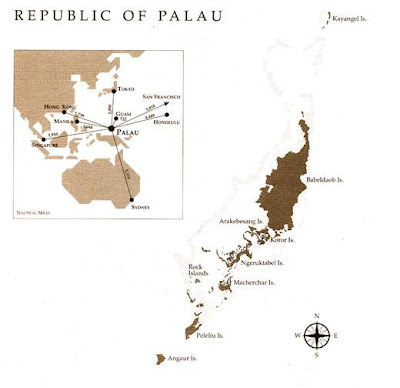 The Palau island chain is made up of 200 islands in the western Pacific Ocean. They are located 528 miles (650 km) southeast of the Philippines. Of all the many islands in the chain only eight are permanently inhabited. Palau enjoys a warm climate all year round with an annual mean temperature of 82° degrees F. (27° C.). 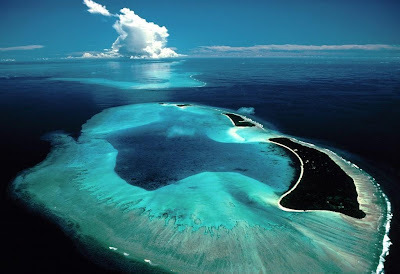 From the air, Palau appears like a long strand of pearls laid out across a sparkling blue sea. Because three ocean currents meet at Palau, the marine life is four times as rich as that of the Caribbean. On the other hand, the Caribbean tourists are probably a thousand times richer than those to be found in Palau, so it kind of balances out. The deep blue waters are home to 1,000 species of fish and more than 700 species of coral. Giant clams bask on the reefs. Moray eels and sharks glide effortlessly by , too well fed to be interested in you. This Depth Meter Diving Watch comes in a stainless steel case measuring 46 mm wide. It has a Grey rubber strap with buckle to keep it secure on your wrist. The watch is powered by an automatic movement and comes with calibre FL 305 and 23 jewels. It is protected by an anti-reflective convex sapphire crystal and is water resistant up to 300 metres. 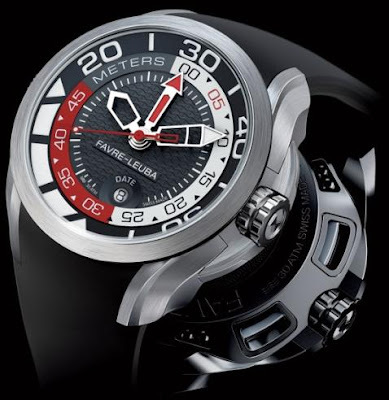 The Favre-Leuba Bathy V.2 Mechanical Depth Meter Diving Watch has complications that are very useful for divers like the decompression stage indicator, depth gauge and date as well as a diving time gauge. The Argonaut 1000 TQ is named after the mythological Argonauts of ancient Greece. It’s a big chunky 46mm military style dive watch with large side guards and a unidirectional easy grip rotating bezel. It’ll take you as deep as you want to go and shine out at you even when the sun no longer penetrates the water. If you are looking for a top notch diving watch that will let you explore deep into the deep blue sea but don’t want to bust your holiday budget in the process, check out the DWATCH Stingray 1000m Diving Watch. This watch takes the no nonsense approach so you know what you are getting from the get go. All the usual goodies are on board including an easy grip uni directional bezel, large hands with plenty of lume and an automatic ETA movement. Maybe not the flashiest of divers watches, but it more than does the job. The AutoZilla has been described as a grail of a diver; it's a stunning looking professional diver’s watch that can be used for saturation diving. 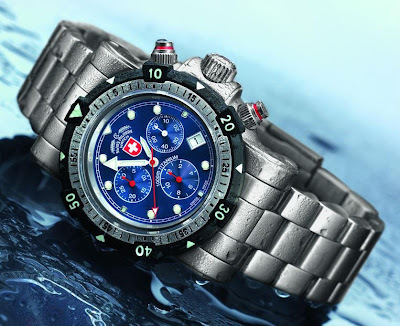 The body is duratect Titanium which means it is really strong and at the same time light and comfortable on the wrist. The crystal is thick (about 6mm) anti-reflective sapphire. A great feature of this watch is that you can easily remove the bezel for cleaning and put it back on. It has an automatic movement and the hands are super bright once the lights go down. Yes, they're all big, bold, manly and tough like it's nobody's business, but whatever happened to the subtle, almost off-hand beauty of watches like Longines Legend Diver or Omega Seamaster?